Time for a sugar high this post. Brigadeiros (bree-ga-dei-roos) are highly addictive sweets from Brazil. They are very popular in Portugal too, and were definitely on our list of nostalgia flavours last month. (Second only to Santini ice cream, which we felt perfectly justified to have nearly every day.) 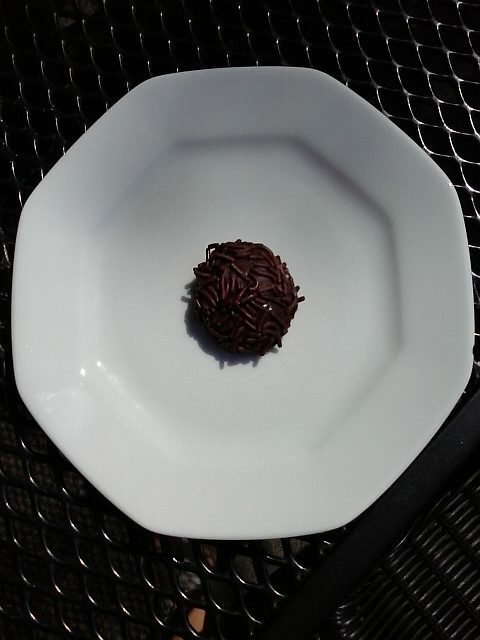 Brigadeiros are very simple to prepare at home and my daughters and I made some this week to keep up the holiday vibe. We simmered the mixture for a little less than the recommended time: the sweets were less pertly round than you would see in the Portuguese pastry shops, but had a deliciously squishy texture. Cook the mixture for even less time and it makes an unctuous icing for a bitter chocolate cake. 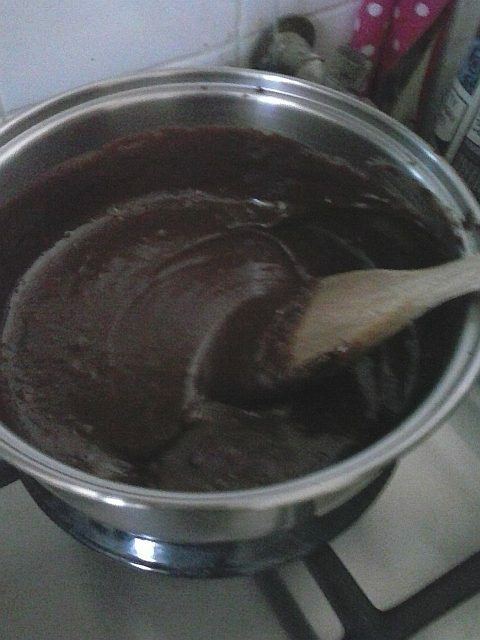 Put the condensed milk and cocoa powder in a small sauce pan and heat over a medium heat until they start to bubble, stirring occasionally. Simmer until the mixture thickens and leaves the edges of the pan clean. This takes about 5 or 10 minutes. 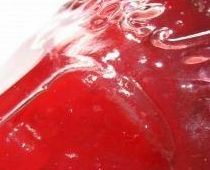 Stir frequently with a wooden spoon so that it doesn’t burn. Pour into a bowl and chill until cool to the touch and very thick. Put the sprinkles in a wide bowl or deep plate. Butter your hands lightly to prevent the mixture from sticking and form into balls the size of a small walnut. Roll in the sprinkles and allow to set. Traditionally they are served in small paper cases, but you can let them chill on a piece of greaseproof paper and serve on a plate if you prefer.